On a game board, Meeples may seem small and unassuming, but don't be fooled. They were originally constructs of war for the 4 kingdoms of Lilliput! 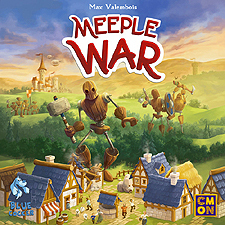 Play as one of the leaders of those kingdoms and re-enact (in actual size) those tremendous, historical battles in Meeple War!